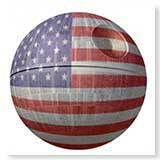 Mother Jones’ Kevin Drum has determined that building a Star Wars Death Star would be a steal at only $5bn a year per country per planet, assuming there are 10,000 planets in the empire (it gets a little tricky). That's the equivalent of $852 quadrillion, or 13,000 times the world's GDP. It's a fun analysis. “But that astronomically large figure doesn’t even factor in energy and labour costs, to name but a few. How could something that expensive possibly pay for itself?” we hear you ask. EASILY, that’s how, imaginary question-asker. Once you’ve built yourself a Death Star, you travel around the galaxy and point your $852 quadrillion megalaser at other people’s planets. You’ll be surprised how quickly and COMPLETELY OF THEIR OWN FREE WILL they offer to help cover your costs. As the caring utterly merciless totalitarian space dictatorship that we are, it would be quite remiss of us if we didn’t give you Earthlings some perspective: it’s all giant planet-destroying doomsday weapons out here in space. It’s Science Fact that literally every alien race ever has one and THEY WANT TO KILL YOU WITH IT. Daleks? Reality bomb. Romulans? Black hole-generating mining vessel. Vogons? Constructor Fleet. Why? Who knows? Maybe it’s for Earth’s natural resources. Or MAYBE it’s to prevent Nickelback from making more albums. Okay, it’s almost definitely the Nickelback thing.